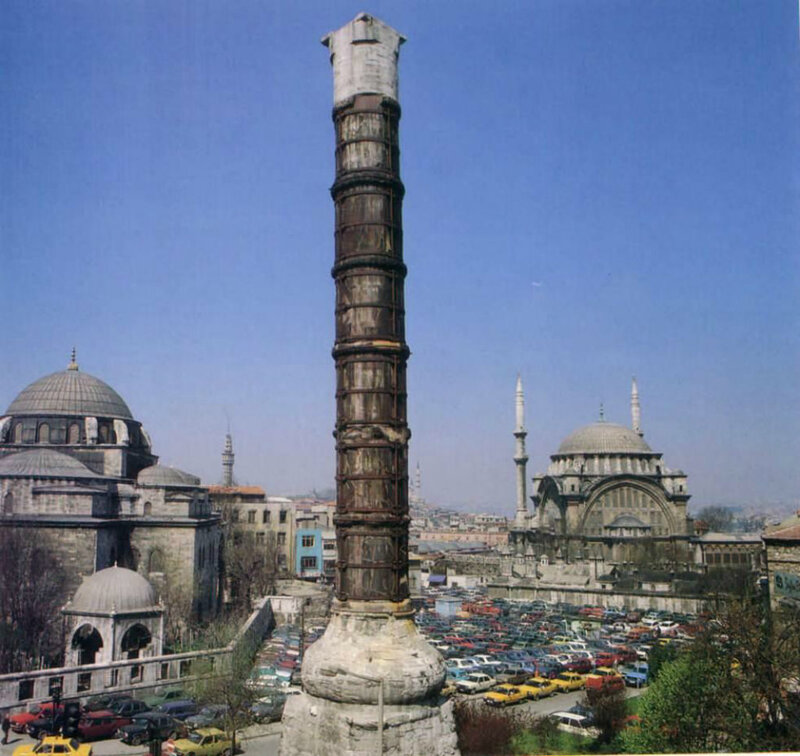 Amongst Istanbul’s many charms, Constantine’s Column ( Turkish: Çemberlitaş) was erected by the Emperor Constantine on Istanbul’s second hill (there are seven) in 330 C.E. 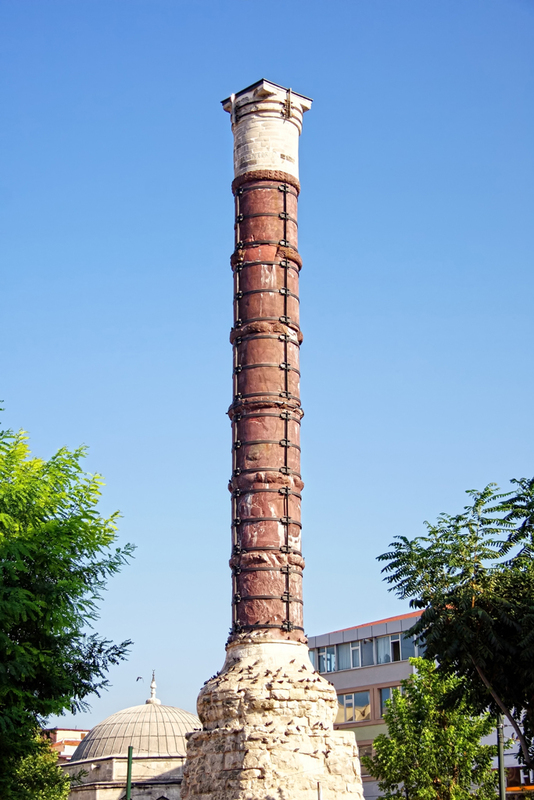 Also known as the Burnt Column (Turkish: Yanık Sütun), it was constructed from 8 separate columns - each weighing three tons and measuring three meters in diameter - which were placed one on top of another, joined by bands, and mounted on a pedestal. 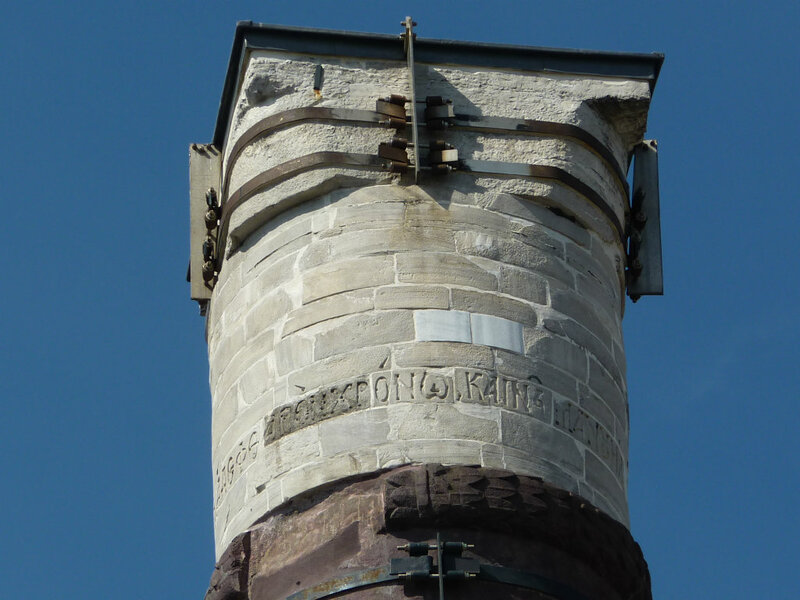 The existing column is shorter than the original. 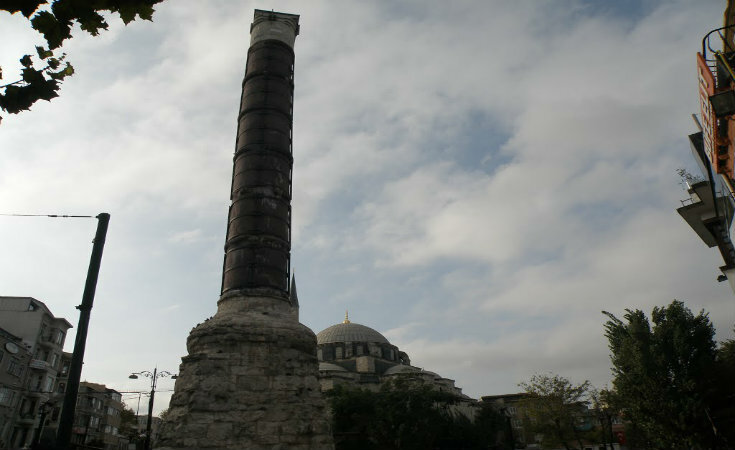 Amongst Istanbul’s many charms, Constantine’s Column ( Turkish: Çemberlitaş) was erected by the Emperor Constantine on Istanbul’s second hill (there are seven) in 330 C.E. 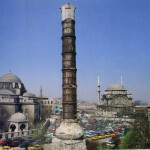 Also known as the Burnt Column (Turkish: Yanık Sütun), it was constructed from 8 separate columns – each weighing three tons and measuring three meters in diameter – which were placed one on top of another, joined by bands, and mounted on a pedestal. 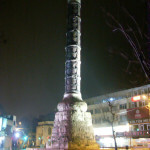 The existing column is shorter than the original. 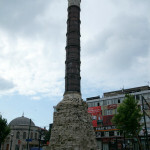 A statute of the Emperor Constantine once rested on top of the column but it was struck by lighting and knocked down in 1081 C.E. 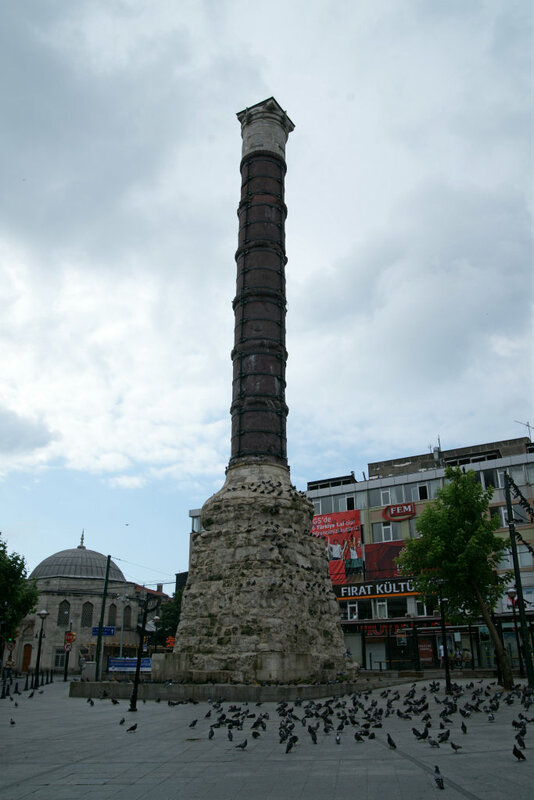 A cross was placed on the column in the course of restoration but it was removed by the Ottomans after the conquest of Istanbul in 1453. 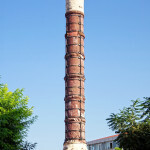 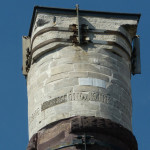 The column saw its first repairs of the Ottoman period in 1470, and in the course of numerous repairs over the years, the columns were strengthened with iron rings that have given it its Turkish name Çemberlitaş, which means ”ringed stone” in Turkish. 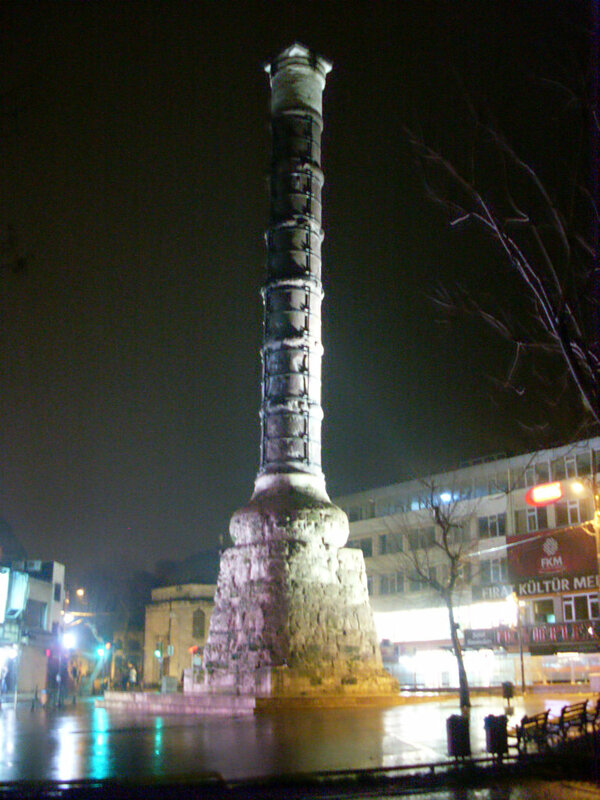 Take the Tramway (T1) from Kabataş to Bağcılar and get off at Çemberlitaş.